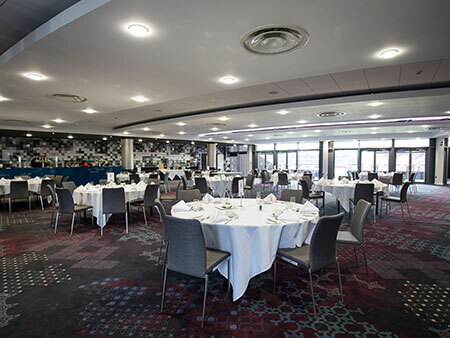 Ashton Gate Conference Centre provides state-of-the-art equipment and meeting spaces for both corporate and private hire. Our Bristol conference centre takes its name from Bristol Sport founder Stephen Lansdown. 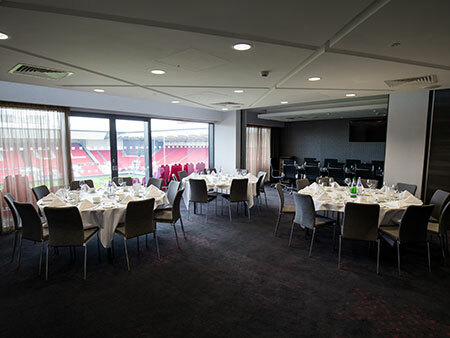 Opened in August 2016, The Lansdown Suite at Ashton Gate is your premier choice for conferences and large meetings. 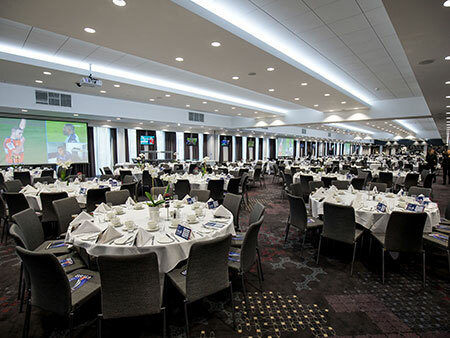 Situated in the iconic Lansdown Stand, our Bristol Conference Centre can hold up to 1,000 people theatre-style or 850 for a dinner. A highly sought after business venue in the South West, we provide a unique setting for a conference centre Bristol and international business owners use time and time again. With excellent transport links to our city centre, and a wide choice of hotels, the Lansdown Centre is an immensely popular choice. Our centre is designed to provide the perfect setting for large conferences and meetings. With no obstructions or pillars, the Lansdown centre is regularly booked out for conferences, exhibitions, exams, parties, and wedding receptions. The Suite can be divided into three equal floor spaces, each benefiting from an in-built screen and projector. 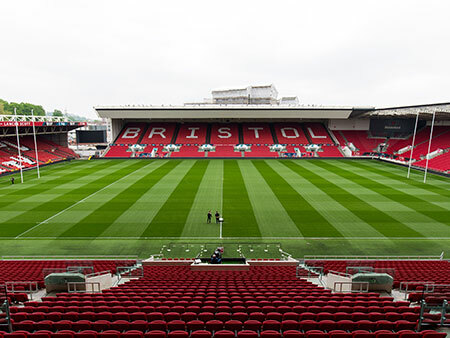 Ashton Gate Stadium is the best option for conference centre hire in Bristol. As well as our large conference rooms in the Lansdown suite, we can cater for your smaller conference in the Heineken and Dolman Lounges. Take advantage of our in-house catering and book our lounges and suites for a conference with a buffet or sit-down meal option. For smaller groups we recommend our Executive and Director’s boxes. Our boxes are situated with views across the pitch, perfect for networking and private meetings for after your conference event. Contact a member of our friendly team today to discuss our Bristol conference centre options, and to start planning your future meetings and events. Our state-of-the-art conference facilities and our highly experienced hospitality team are here to make sure your event is a great success. For large scale exhibitions and conferences, our South, West and Dolman Stand concourses are available to hire - click here to find out more.